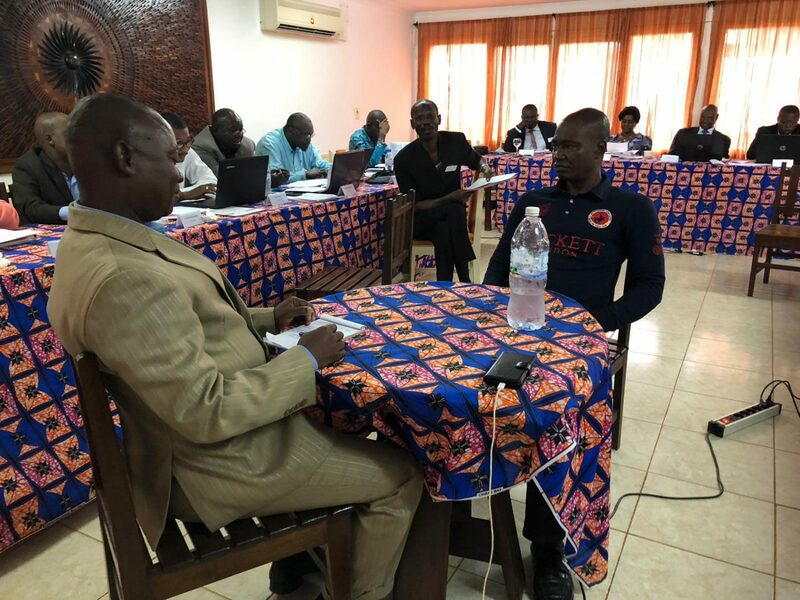 REDRESS, in partnership with FIDH and Trust Africa, has held a workshop on the representation of victims before the Special Criminal Court (SCC) of the Central African Republic for 18 victims’ lawyers at the Central African Bar. The workshop was held in Bangui, CAR, from 29 to 31 October 2018. The workshop formed part of our ongoing efforts to address impunity for gross violations of human rights committed in the CAR since 2003. The workshop highlighted various procedural aspects of victims’ representation before the newly established Special Criminal Court, drawing from the recently adopted Rules of Procedure and Evidence, and the speakers’ professional experiences. It combined both presentations and group exercises. The speakers included Maître Marie-Edith Douzima, the legal representative of victims in the Bemba case before the International Criminal Court; former EAC Prosecutor Mbacké Fall; Hervé Séverin Lidamon, President of AVED, and UNODC personnel working on the development of the Victims and Witnesses Section of the SCC. This workshop, and a side reception, brought together various stakeholders of the court. It contributed to efforts aimed at raising awareness amongst lawyers regarding victims’ right to participate at each phase of the procedure before a civil law hybrid court, and the importance of working closely with civil society organisations to ensure effective legal representation.